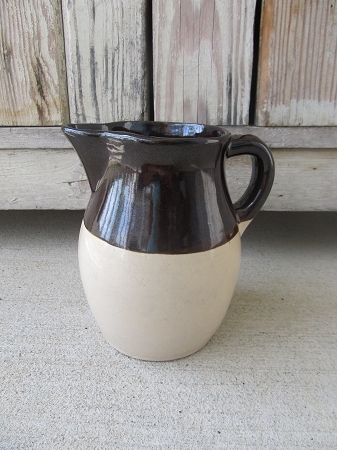 Vintage Primitive Stoneware Two Tone Brown and White Pitcher. 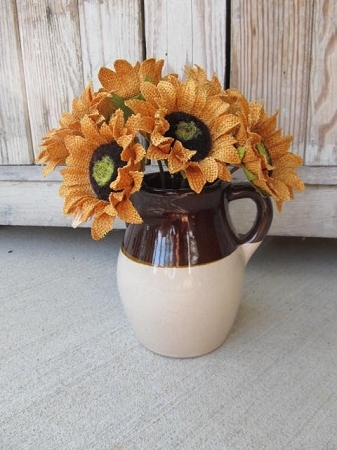 Love stoneware pitchers for decorating. Fill with your favorite seasonal flowers or display with other stoneware bowls, crocks and pitchers. Great shape, no chips or cracks. Size is 6 1/2" high x 4" diameter. 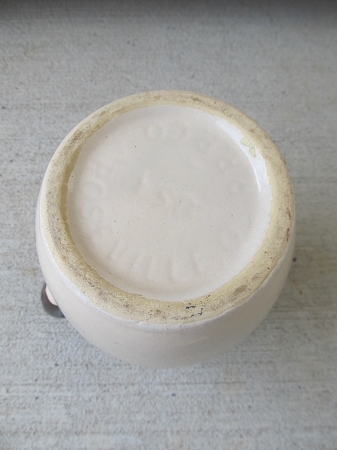 Bottom marked RRP Co. USA Roseville. I have 2 of these in stock. If you like the sunflowers that are displayed inside. Those are for sale as well. See Decor options in this listing to add them to your order.